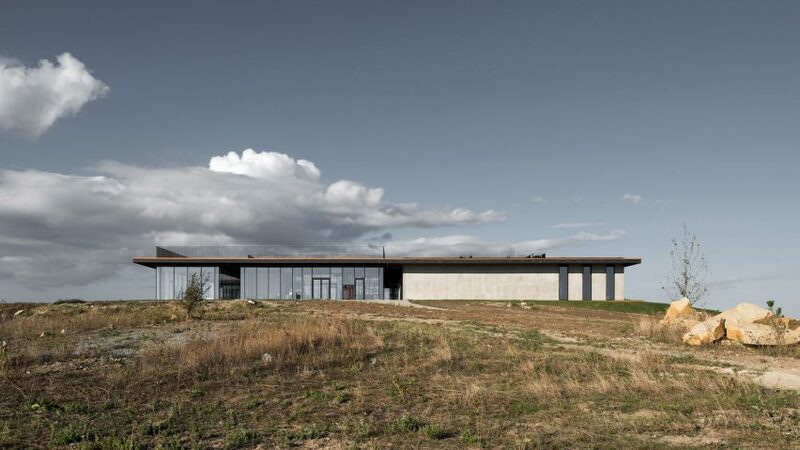 Kleinewelt Architekten has built a winery in southern Russia, featuring stark concrete walls on one side and full-height glazing on the other. 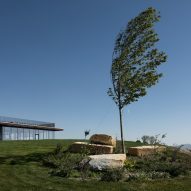 Gai-Kodzor Winery is located in the Krasnodar Krai area of Russia's North Caucasus region – the country's most important wine-producing region, due to its continental climate. 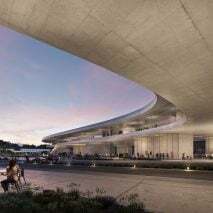 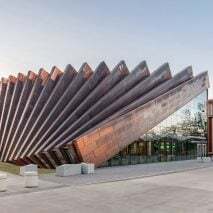 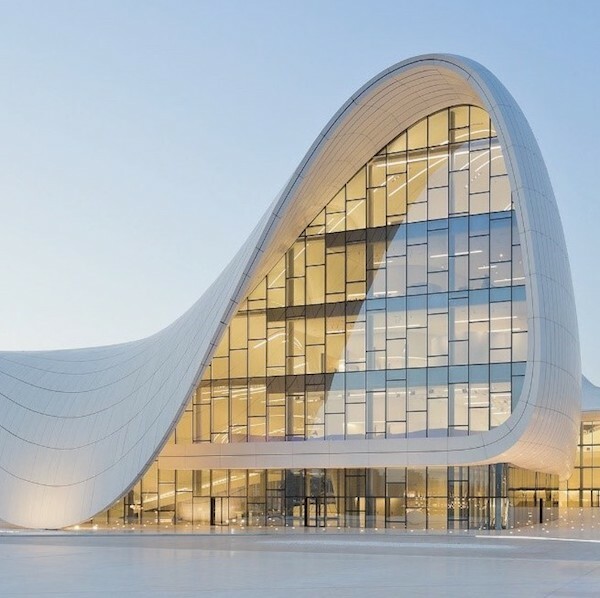 Moscow-based Kleinewelt Architekten was tasked with developing a multipurpose complex just five kilometres from the Black Sea, which combines a production facility with a museum, as well as spaces for education, hospitality and entertainment. 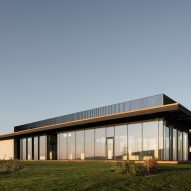 Like many of Europe's established wine producers – with recent examples including Château les Carmes Haut-Brion and Château Margaux – the clients wanted a high-end facility to show off their brand to visitors. 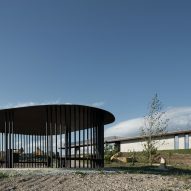 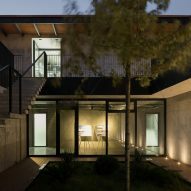 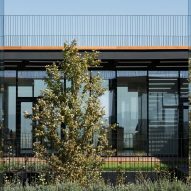 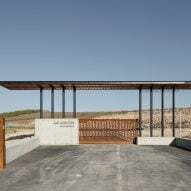 Rather than starting out with the production centre and adding new functions gradually, the team at Gai-Kodzor commissioned a 1,500-square-metre complex that incorporates all the necessary facilities of a contemporary winery. 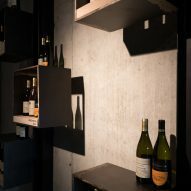 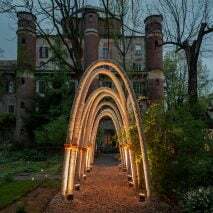 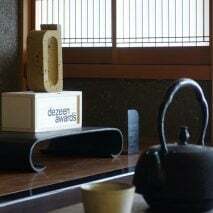 "Gai-Kodzor wine is served in any neighbouring restaurant, so it was necessary to come up with some ideas that would attract visitors," said architect Nikolay Pereslegin, who founded the architecture studio with Sergey Pereslegin and Georgiy Trofimov in 2013. 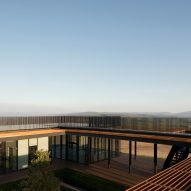 "It is not just a winery, it should be a culture centre with its lecture hall, cafe, observation deck and, prospectively, a small hotel. 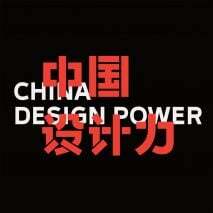 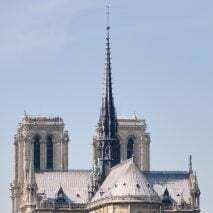 Such a versatile approach is unusual for Europe, to say nothing of Russia." 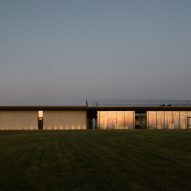 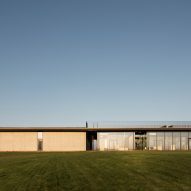 The other idea the team borrowed from top European wineries is a focus on the connection with the environment, which is achieved through large expanses of glazing and openings incorporated into the facades. 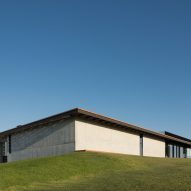 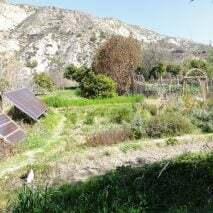 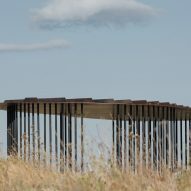 The building is positioned on a hilltop and is partially submerged in the earth to ensure that its impact on the natural topography is minimised. 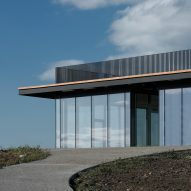 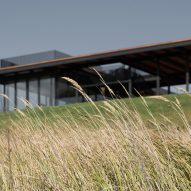 A low-lying profile and the use of glass further help the winery dissolve into its surroundings. 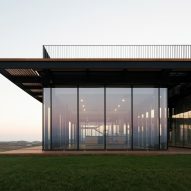 The building looks out across the surrounding mountain ranges from its elevated vantage point, with specific views framed by the carefully positioned columns and other structural elements. 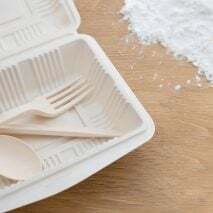 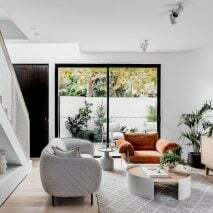 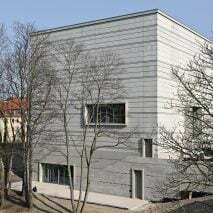 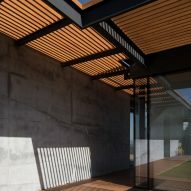 The main load-bearing framework is formed of concrete that is left exposed to provide a robust and tactile surface finish both externally and internally. 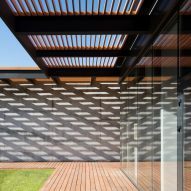 A louvred-timber brise soleil extends beyond the elevations to shade the glazed surfaces. 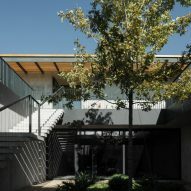 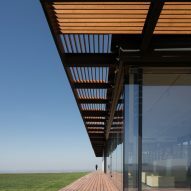 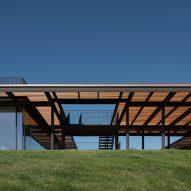 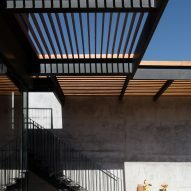 There is also a large wooden deck that wraps around the winery, which also cuts in between the glass volumes to connect with a central circulation area. 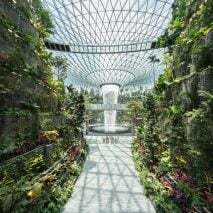 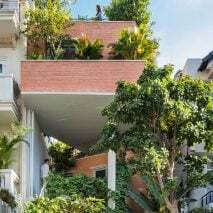 At the heart of the complex is a void accommodating a garden, which is planted with rare flora species. 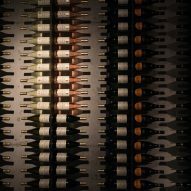 Visitors are invited to follow the production process from start to finish, and to tour rooms dedicated to different types of wine.